Massive Audio - D6K | D6K | Endstufen | Toms-Car-Hifi - Kaufen was Freu(n)de macht! 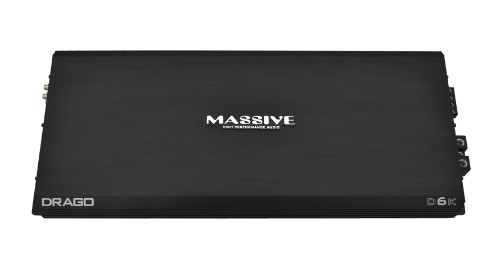 All 3 “Fire Breathing” Class “D” amplifiers from Massive Audio are designed to produce maximum power for the ultimate audio systems with the most efficient and stable power supply ever designed. Weighing in at 5K Max, 6K Max or 10K Max DRAGO amps can handle loads as low as 1 Ohm and deliver “thousands” of RMS power from every DRAGO CEA ratted model. DRAGO is also designed to “Slave” with a second amp and “Double” it’s power for even greater output performance. It’s power is output is displayed with it’s Dual 12V power and ground connectors. (D10K only).